Please note the show will be raising money for RFL (Relay for Life ) . We all know what a wonderful cause it is for. Let’s top last years figure. You are in for many treats such as this VD ( Virtual Diva’s) highly decorative Lingerie #!! Exclusives will also be revealed and onsale ………………….see you there. This was one of the most enjoyable blogs I ever had the pleasure to do. I called it “Gone Native” because the connection was too close to my homeland. It can be found at this months SWANK and the designer of Keresma is a genius with textures. This is a beautifully made 2 piece set . A leather peasant top is trimmed with a delicate plaid ruffle at collar and cuff. The cullotte trousers are very feminine and light with a yoga styled black belt . The Plaid texture is amazing. The outfit comes complete with a colour change HUD which gives you the choice of 8 plaids for the tops and 8 plaids for the bottoms. Which is a lot of colour combinations This is a fantastic out fit that can go from High Fashion to RP. 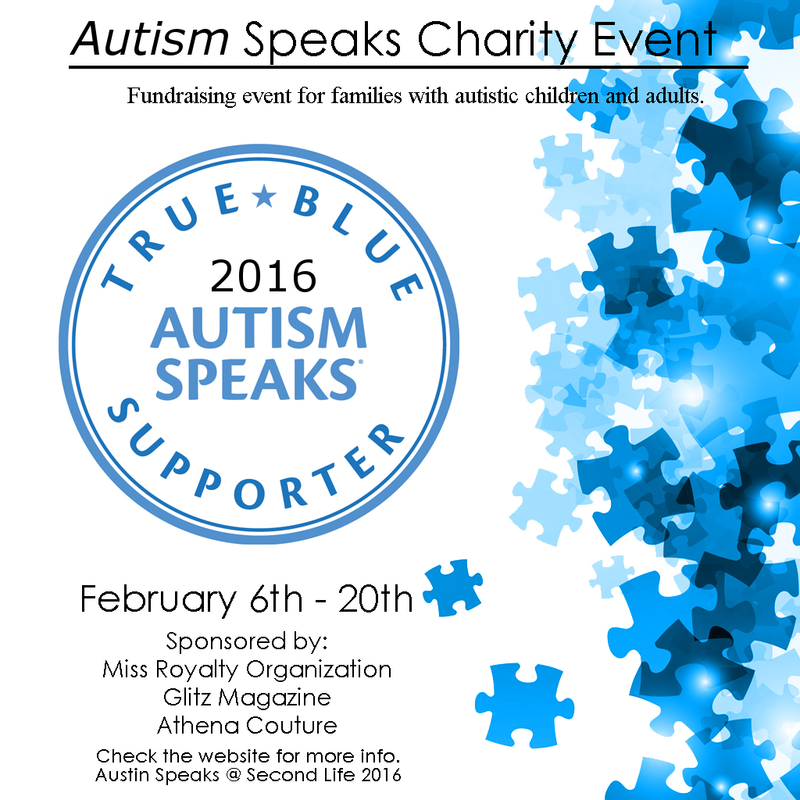 The Autism Speaks Charity Event 2016. 100% of sales going to the Autism Speaks Charity. ENDING ON – Saturday February 20th, 2016 at 12:00pm slt.